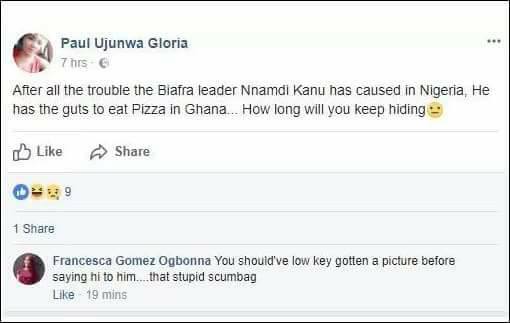 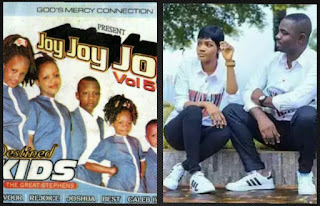 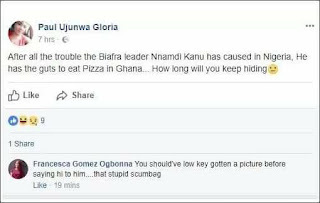 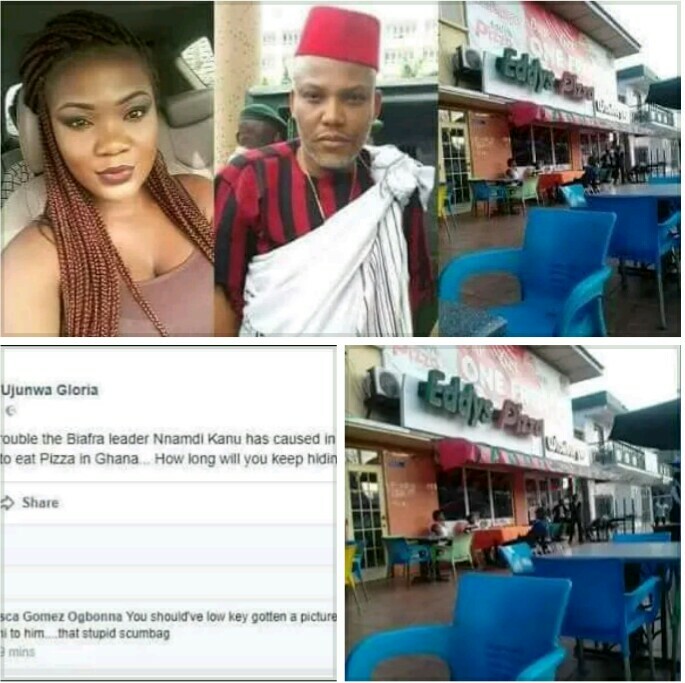 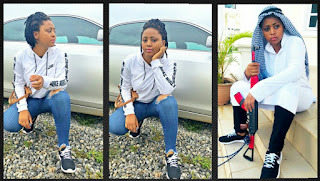 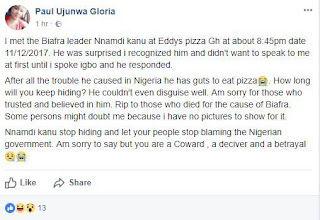 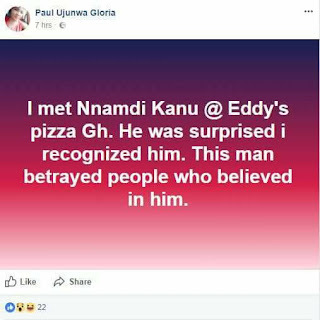 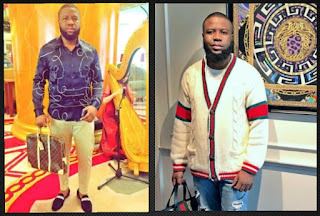 Paul Ujunwa Gloria, an Igbo lady based in Ghana called out Nnamdi Kanu, claiming she saw the leader of the Indigenous People of Biafra, IPOB buying pizza Ghana, as she tagged him a betrayer. 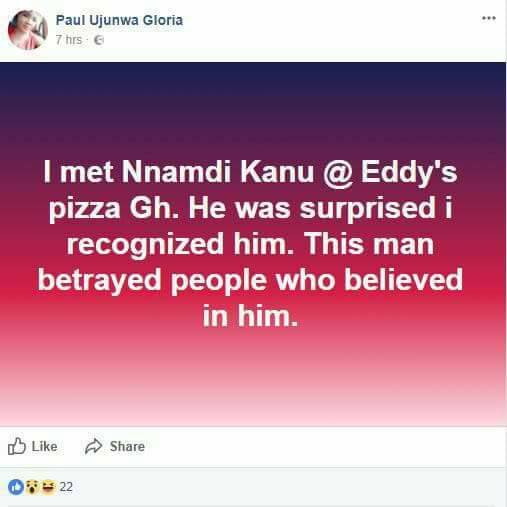 The lady claimed she saw him at Eddys Pizza in Ghana at about 8:pm on 11th December, 2017. 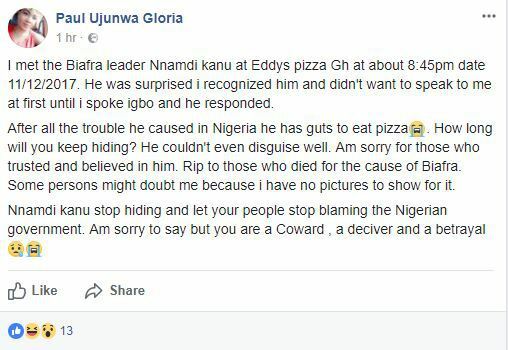 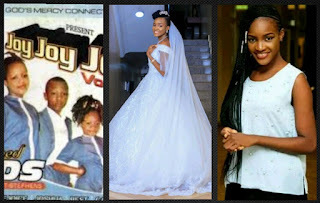 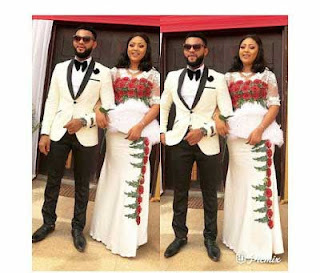 She says she regrets not taking pictures, as he refused to speak to her, not until she spoke Igbo.